In Jungian circles, we often assign primary value to consciousness. Jung himself considered a “sharpened consciousness” to be the defining feature of our species. He often spoke of modern science as a high-water mark in the development of consciousness and an irrevocable step in our collective process of individuation, at least in the West. Yet Jung experienced a deep conflict between the way in which science imagines the natural world and that sense of belonging which once so enriched human life. For him, these were as yet unintegrated opposites. 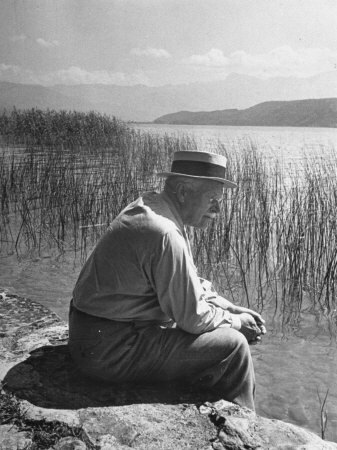 Many significant developments have taken place since Jung’s death in scientific fields such as physics and ecology. Yet his reflections remain relevant, particularly to the contemporary field of ecopsychology, which seeks to heal our damaged relationship with the natural world. Honoring Jung as one of its founders, ecopsychology continues to struggle with how to re-connect with nature without regression to a pre-scientific mentality. Dr. Hodges explores this conflict, along with hints of a third position emerging in Jung’s thinking. This material was originally presented in the form of four hours of lecture for the International School of Analytical Psychology in Zurich. Several themes emerged around which shorter presentations may be structured.